Within any genre, there are only a handful of books that truly stand head and shoulders amongst the thousands published every year. These few can be classed as classics, books that turn the genre on its head and literally take your breath away at the originality of the plot, or just the audacity of the author! Such books include Wilkie Collins’, ‘The Woman in White’, Sherlock Holmes’ return in Sir Arthur Conan Doyle’s chilling, ‘The Hound of the Baskervilles’. Then you have Christie who was a master at misleading her reader, the first of which was ‘The Murder of Roger Ackroyd’ which stunned and divided readers and critics alike and caused a great hue and cry in 1926. I will quickly mention Christie did also deliver two more stunners which again changed the way crime fiction was viewed with ‘Murder on the Orient Express’ and also, ‘And Then There Were None’. Then there is ‘Malice Aforethought’ by Francis Iles. Published in 1931, this is yet another significant milestone in crime fiction. Then we reach the late 20th Century where two great ladies were to change the whole viewpoint of crime fiction yet again. They were to take crime fiction out of its formulaic rut and change the genre’s fortunes from being the poor relation and turn it in to a genre that could even be considered literary! Gasp! P.D. James preferred and enjoyed the boundaries set within the construction of the crime novel. Rendell on the other hand was the one who pushed and moulded those boundaries, never sitting on her laurels. It didn’t always work, but Rendell was nothing if not experimental or innovative. As Rendell learned her craft, her writing grew in stature. Rendell mentioned several times that she had wrestled with ‘A Dark-Adapted Eye’ some years before publication, but it felt too dark to be a Rendell title. Years later, to balance out the darkness of this novel, Rendell was to ‘invent’ a new pseudonym using her middle name and an old family surname, Barbara Vine. Rendell did not hide in the shadows about Barbara Vine. I was merely sweet sixteen when I clapped eyes on a new paperback which started with ‘Ruth Rendell writing as…’ in WH Smith in Ilford. With my Saturday job money, (which wasn’t much so buying hardbacks was not an option back in 1987), this book was in my hot little hand and I was over to the cashier within a minute. I couldn’t wait to get home and start it. And what a revelation! I had been enjoying Rendell’s books for a few years by then and here was something different. I was no longer in Rendell territory. This was a completely new landscape, terrain that was very dark and creepy. This was Rendell showing she had read, she had listened, she had observed, she had written and she had learnt her craft – and Barbara Vine was Ruth Rendell… but this was her darker other half! As we were to discover over her subsequent Vine novels, Rendell would often revisit the theme of the past crashing in to the present, of those with sin being found out, even if after decades of hiding in the shadows. The crime of ‘A Dark-Adapted Eye’ is not a whodunit, as we know all too well from the first page that Vera Hillyard was hanged. What Vine doesn’t tell us is who the victim was? What were the circumstances that turned straight-laced Vera Hillyard, who prided herself on her cooking and sewing, to turn to murder? With great subtlety, Rendell/Vine slowly and carefully peels back the layers of obsession and possession that culminate in such a violent act. It is due to Vine’s poetic prose, the way she unwraps her Pandora’s Box that shows how great a writer Rendell was. She proved time and again that crime fiction needn’t be the poor relation, was no longer a genre to be ridiculed and could be classed as literature. With ‘A Dark-Adapted Eye’, she did just that. This is why I feel that ‘A Dark-Adapted Eye’ should be classed as one of those milestones, another standout novel that still stands head and shoulders above an ocean of books that have arrived after it. Some have tried to imitate Vine, but she was there first. It is interesting that with the current phenomenon of ‘Domestic Noir’, this book is not held up as a worthy predecessor of this sub-genre. 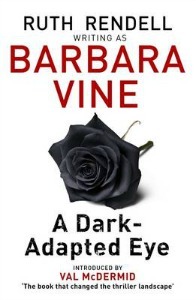 You read anything in that vein from today’s authors and then read ‘A Dark-Adapted Eye’ and you will see that Rendell/Vine was on to it by a good thirty years! As an ardent fan of Rendell’s for over three decades now, I still remember reading ‘A Dark-Adapted Eye’, just as I remember reading other books like ‘Cat’s Eye’ by Margaret Atwood, ‘The Songlines’ by Bruce Chatwin and John Irving’s, ‘A Prayer for Owen Meany’. It joined those very few titles I would class as having moved me, even had a profound effect on me. Strong sentiments, I know, but I imagine my teenage mind was expanding and taking in a mountain of information and experiences – and all these novels, besides many others, were read during this informative period. Vine/Rendell’s prose still weaves a full, rich tapestry that is beguiling to all the five senses. It is taut and not a single word is superfluous. For me, this was the time Rendell was at her writing/creative zenith. With this book, Rendell won the Edgar for Best Crime Novel whilst in the same year winning the CWA Gold Dagger for ‘Live Flesh’ written under her own name, (1986) which is an astonishing achievement. Her second Vine novel, ‘A Fatal Inversion’ would go on to win the CWA Gold Dagger the following year, a massive achievement to win the Gold Dagger two years consecutively and one not replicated, to my knowledge, by any other crime writer. This is why Ruth Rendell’s name will always be ingrained in to the very fabric of crime fiction. She showed the world that characterisation and plot could walk hand in hand with crime fiction – that it wasn’t just about a good puzzle, sleight of hand didn’t mean bad writing. 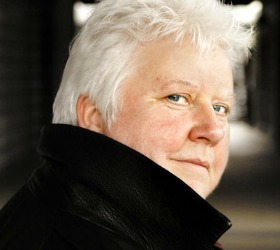 I can’t think of a better person to write the introduction to this book than Val McDermid. 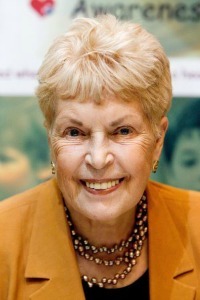 Rendell was a big fan of McDermid’s books and McDermid has never hidden her admiration for Rendell’s influence on her. It is a feeling many of us share. A few months back, crime writer, Sheila Bugler sent me a tweet saying she had read ‘A Dark-Adapted Eye’ due to my recommendation and raved about it. Thirty years later, Vine’s book hasn’t become dated and still enthrals. If you haven’t read this superb novel, then I implore you to go out and buy a copy. I promise you won’t regret it. Then you will understand why I constantly wax lyrical about this woman and her work. One can only wish and pray to write half as well as Ruth Rendell. Click here to purchase 'A Dark-Adapted Eye'.